What’s the future for Chinese wine? First time visitors to Beijing are often struck by the pollution that seems to blanket the city on a daily basis, reducing visibility and filling lungs with undesirable gunk. It’s a symbol of China’s rush towards industrialisation, as well as the lack of environmental checks and controls. But it’s tempting to see it as a metaphor, too, not least for the wine industry. Trying to understand what is going on in China can feel like staring into a Stygian fug at times. How many hectares are planted in China’s wine regions? How many wineries are there? What is the per capita wine consumption? How serious is the counterfeiting of foreign wine? No one seems to know. Or be prepared to say. I don’t think it’s a case of officials mistrusting foreign journalists either. A wine writer on Wine in China magazine told me that she, too, was largely in the dark. The International Organisation of Vine and Wine (OIV) puts the size of Chinese plantings at 560,000 hectares. But given that it’s perfectly legal to blend up to 20% foreign wine with a domestically produced liquid and still call it “Chinese”, I’ve not idea how much wine is made, or drunk, in China. Most of my (necessarily tentative) conclusions after nine days in China are based on anecdote, lots of tasting and a bit of educated guesswork. Alun Griffiths MW, who left Berry Brothers last year to take up a position with the major Chinese liquor company, VATS, reckons that 80% of Chinese wine consumption is red and that 19% of it is foreign. Half of that is French, dominated, as everyone knows, by Bordeaux. Another Beijing-based Canadian wine merchant told me that at least 30% of the imported wine is never sold. “It’s just sitting in warehouses or on stock lists,” he said. The crackdown on the “gifting” market hasn’t helped, prompting rumours that wineries with stock to sell have resorted to selling it off cheap to bus companies and even the army. Are the Chinese drinking wine? Yes, appears to be the answer, but in comparatively small numbers, especially outside the major cities. Baijiu spirit is fifteen times more popular, apparently, and people seem to consume way more beer than wine with food. (The fact that most Chinese meals combine various dishes, revolving on a lazy susan turntable makes the idea of food and wine matching tenuous at best.) Beijing has great cocktail bars and craft beers, but not a single wine bar that I could track down. Expensive rent and small margins, a combination that is not unique to Beijing, are to blame. And what about the quality of the local wines? I spent two afternoons wandering around the halls of the Yanqing International Wine Exposition, armed with a piece of paper with the words “Please show me your best bottle” in Mandarin to get an idea of how the local industry is progressing. I also tasted a further 140 examples of the China’s top wines back in Beijing at a tasting organised for a group of seven Masters of Wine by Wine in China magazine. One thing that’s immediately apparent is that Bordeaux varieties, especially Cabernet Sauvignon, but also Merlot and Carmenère (known locally as Cabernet Genischt) are the dominant grapes. You can see why. Put the result in a heavy bottle, preferably with a black and gold label, and there’s a chance that high-rolling Chinese wine lovers might pay up to the equivalent of £150 to drink it. This obsession with Bordeaux grapes is not doing China any favours, in my view. Many of the reds seem to suffer from the over-ripe/under-ripe characters that are the result of a short growing season, dubbed “bipolar ripening” by my fellow Master of Wine, Richard Kershaw. The strange combination of jammy and green flavours will be familiar to anyone who has tasted virus-affected Cape reds. Far too many Chinese wines age quickly and unconvincingly. There are certainly a growing number of very good Cabernets and Bordeaux blends in China. My favourites include Grace Vineyard, Château Nubes, Domaine Franco-Chinois, Hezun, Xixia King Yuquan Winery, Château Goufei, Kanaan, Château Kunjue, Red Leaf Winery, Petit Rongzi, Château Bolongbao, Château Jinshaluding, Lilan, Château Septembre, Silver Heights, Jai Be Lan, Helan Mountain, Château Yuange and Shapotou Winery. But other varieties, particularly Marselan and Riesling, of all things, seem to have a future too. Wine consultant Kym Milne MW urged a roomful of Chinese producers in Yanqing to experiment with other, earlier-ripening grapes, such as Tempranillo. Will China fulfil it potential as a wine-producing country? Based on some of the wines I tasted, especially from the Ningxia, Xinjiang, Shaanxi and the Yanhuai Valley regions, I think the answer is a tentative yes. It will take at least another generation, but China will surely produce world-class wines. It certainly has the necessary ambition and work ethic, as well as the state funding to do so. But will Chinese consumers drink the wines in sufficient numbers? 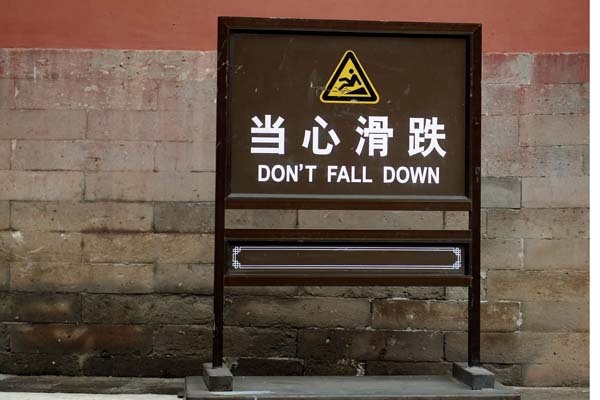 Like so many things in China, the answer is unclear for now.